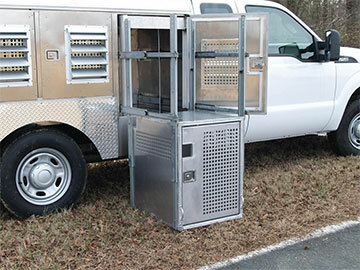 Side Compartment Lift: The center side animal compartment features a lift cage. This is extremely helpful when loading large animals. Simply open the exterior door, pull the cage out, press a button to lower the cage to the ground, load the animal, then reverse the procedure to raise the cage and secure it in the compartment. This feature does not require the ACO to lift the animal at all to load them. 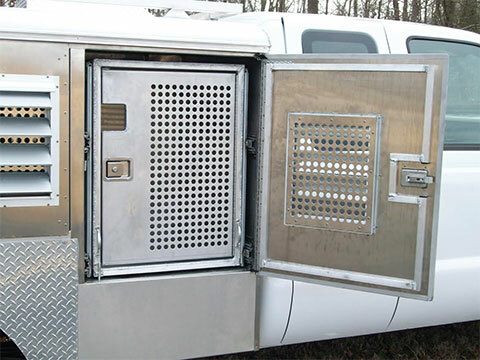 Safety Doors: All animal compartments feature interior safety doors made with 1” aluminum tubing. 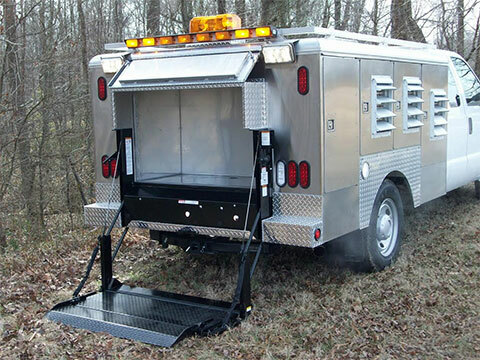 The safety door includes a catch-pole notch so aggressive animals can be loaded/unloaded while still under the control of the catch-pole. 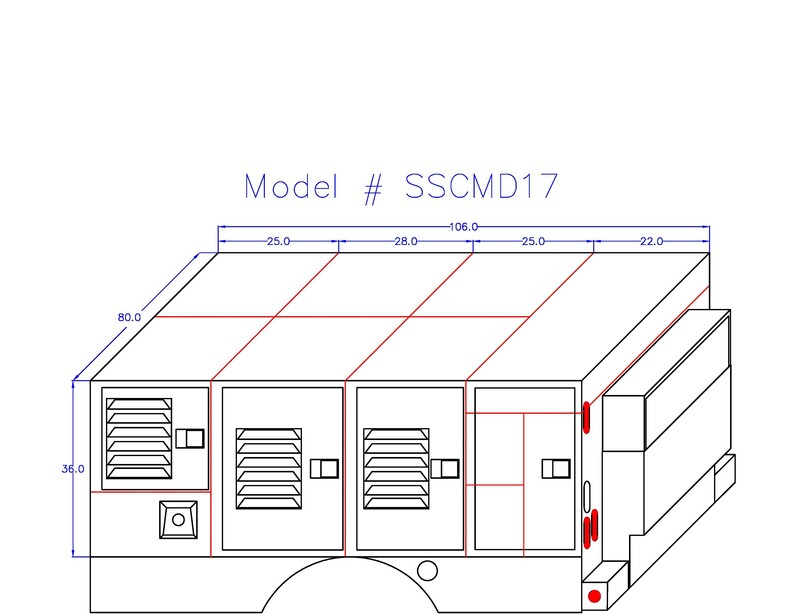 Storage Compartments: Includes storage compartments on each side of the unit with shelves and carpeted floors as well as rear center storage area. Thru-Storage on top for Catch Poles. Lights: All lights are LED lights for low amperage draw. 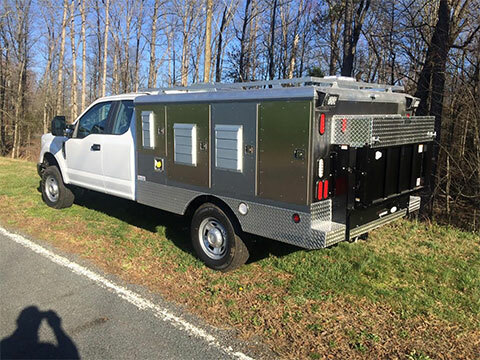 Lighting includes all DOT required lighting as well as side area clear lights, rear scene lights, rear directional arrow bar light, interior animal compartment lights and revolving roof mounted light. Roof Rack: Includes an aluminum tubing roof rack. This is useful when hauling traps on the roof as it provides a place to tie-off to.